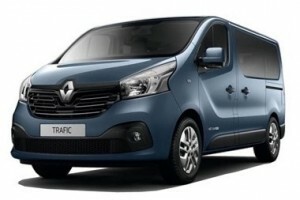 Renault Trafic Minibus LWB LL29 Energy dCi 125PS Sport Nav 9 Seater Minibus 5dr Manual available on 9 month Fixed Short Term Contract. These vehicles are available in limited numbers and are on a 1st come 1st serve basis. We do not guarantee colours or options on the vehicles. Stock changes daily. There maybe a short lead time from date of order. Please contact the short term leasing team for more information. Contract Information: 9 month fixed short term contract hire based on an initial payment and followed by 8 monthly payments taken by Direct Debit every month, with the first Direct Debit extracting approx. 1 month from the delivery date. This is a fixed contract and cannot be terminated early without penalties and cannot be extended without written permission before the end of the agreement.